Sound Event DJ Photobooth & Lighting – "Your Event, Your Way"
Let Us Set the Soundtrack to Your Life! Music is what brings us together. It makes us want to dance and sing along, and it helps us create those beautiful memories that we treasure forever. Don’t leave music to chance when it comes to your wedding or special event. Let Sound Event DJs create your own unique vibe and ambience through music and lighting to make it an event to remember! Sound Event DJs is a full-time, award-winning DJ, lighting, and photo booth company serving all of South Florida. 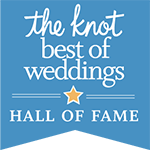 We’re one of the few that truly does it all to make your event your way. We take great pride in giving you the best customer service, customizing your music and lighting needs to your desires with our industry expertise. It’s our goal to do more than just show up and play music. Anyone can do that! Choose us because we will be there every step of the way, going above and beyond to make your event just as you dreamed it would be. 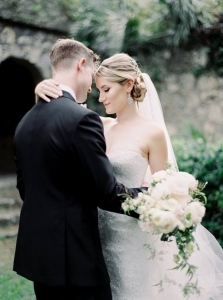 From your first call to your last dance, you’ll fall head over heels in love with us! Sound Event DJs is a family-owned and operated event entertainment service by Jorge & Monica Antonatos. We are creative and leading professionals with a stellar team of DJs and MCs to bring your party to life whether you’re planning your wedding, quince, sweet 16, corporate event, anniversary, milestone birthday, or any other special event. You can count on us to personalize it to capture your style perfectly. 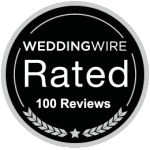 We’ve helped make over 1,000 weddings and social events all over South Florida from Miami to Fort Lauderdale to Palm Beach the kind of event that brings the WOW factor. 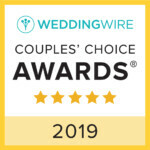 With numerous awards under our belt, we’re proud to be recognized as the #1 vendor to work with when it comes to DJ, lighting, and photo booth services. We know you have many options when it comes to choosing event entertainment services, but we aim to be the only option you’ll ever entertain! We can’t wait to make your next event an epic experience for you and your guests to enjoy. Contact us today to let us create your event, your way! Jorge is awesome! We still can’t stop raving about how wonderful he was! Best DJ in South Florida by far! Jorge, thank you again for making our wedding magnificent. We couldn’t be happier! Our DJ was Matt. Not only was the music AWESOME, but Matt was also great on the mic. It was a pleasure collaborating with him on the “soundtrack to our wedding” as he says and everyone, including our four year-old flower girl, was up and dancing until the last song of the night. Sound Event DJs was a dream to work with!! 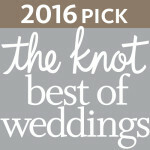 In the month leading up to the wedding, they were organized, responsive, and professional. The music was REALLY important to my husband and I, and they lived up to every expectation we had. 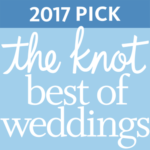 Their online music planner was a breeze to use, and they even added (kind of obscure) songs that we requested from a spotify playlist that they didn’t have yet, just for us! They showed up on time, and set up quickly. Jorge was an AMAZING DJ – reading the crowd, playing all our “must-play” songs, and getting everyone dancing! He communicated with us to make sure we had everything we wanted. 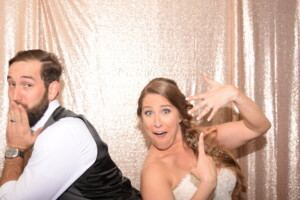 We also did the photobooth through them which our guests loved! Their props were fun and the pictures came out great. 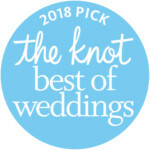 We couldn’t be more grateful to have chosen Sound Event DJ’s — they made our wedding!! Our Mission is to provide You with the Best experience from beginning to end. The Knot Best of Weddings & Couples' Choice Awards, 5 Years in a Row. With Sound Event DJs, it really is "Your Event, Your Way"! Miami Wedding DJs Going Pink! Copyright 2013 Sound Event DJs, Inc. All Rights Reserved.